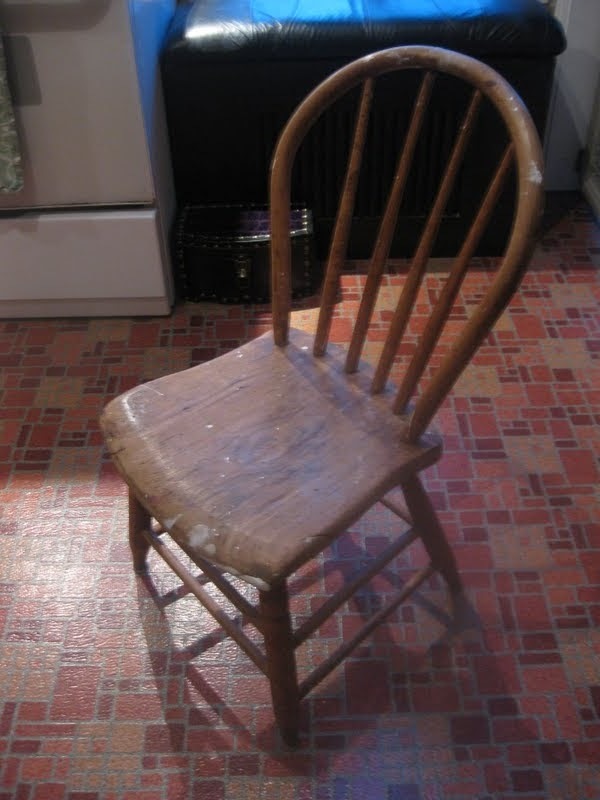 I picked this chair off of the street a REALLY long time ago (like 1989 long ago) and only got as far as stripping the paint off. I liked the rustic look and the thousand layers of paint were really hard to get off. 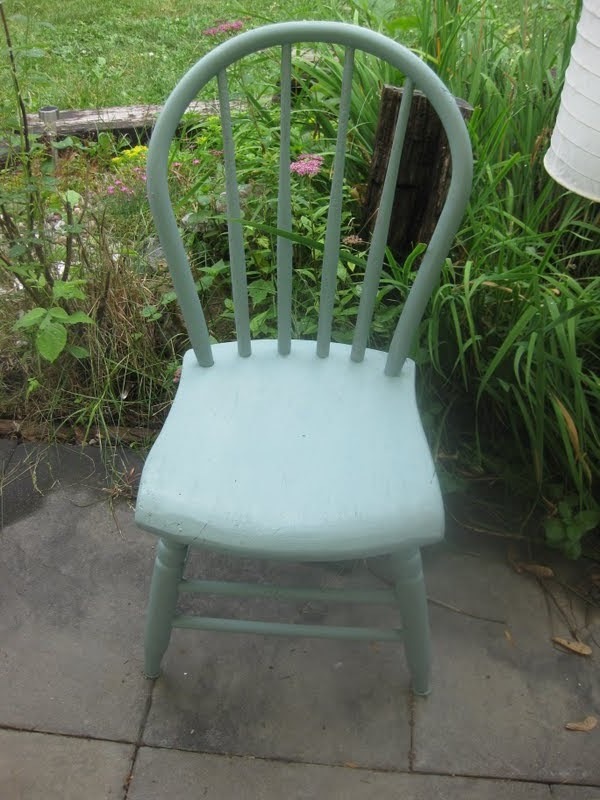 It has been hiding in my closet and used as a sturdy chair to stand-on when needed for the last couple of years but I felt that it finally deserved a bit of paint love last week so that it can stand-in for my much wanted after (but must wait) lounge furniture for the gazebo. I’m still working on this space as a whole so I’ll share it in a few days when I feel it is more “done” (is a space ever really done?). I had tester pots of paints that I’m trying out for all of our wall changes in the next few months so the cost of the little facelift was nothing! Now I am going to enjoy having a treat outside with a cup of tea. My new favourite is my own version of Starbuck’s caramel chocolate bars. Mine are super easy and a lot less expensive. I’ve made up this recipe by combining four or five that I already have. Hopefully this will fulfill my ongoing love for anything salty and sweet. 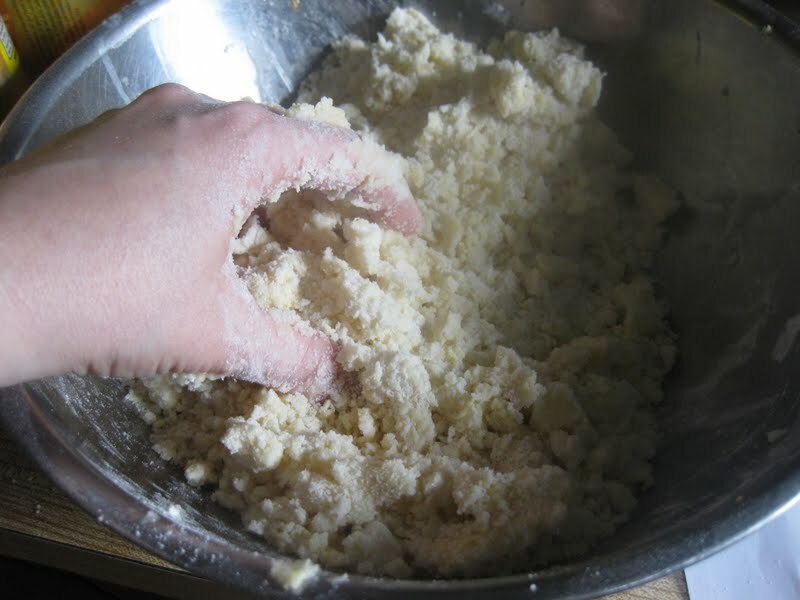 In a bowl combine the 10 T of butter with; 1/2 cup sugar, 1/2 tsp salt, 1 egg yolk and 1 2/3 cups flour. 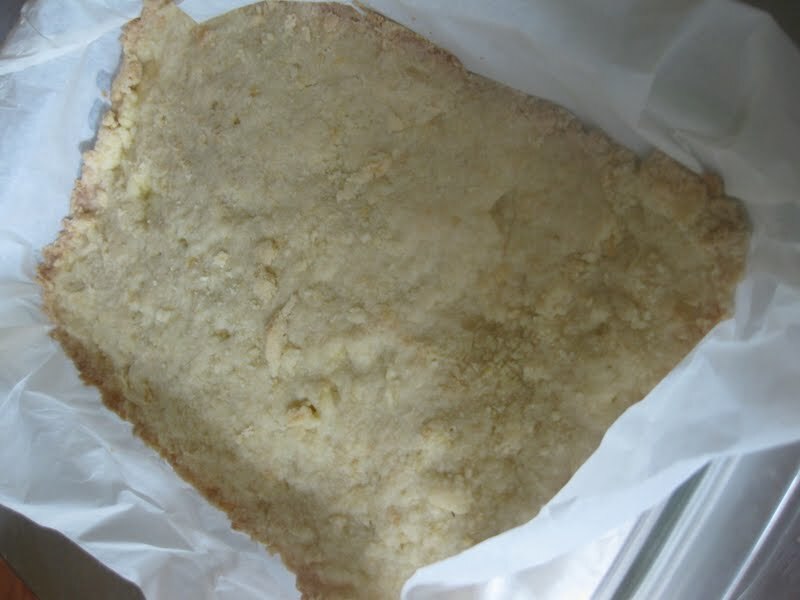 Press into a parchment, paper lined, small square pan (9X9) and bake until lightly browned (350 degrees for approx. 20 min.). Cool and then top with 2 cups of roughly chopped pretzels. In a medium pot on a moderate heat combine: 1 cup unsalted butter, 1 cup light brown sugar, 12 tbsp light corn syrup, 2 tsp sea salt, 4 tbsp sugar, 4 tbsp heavy cream, 1 1/2 tsp vanilla extract. 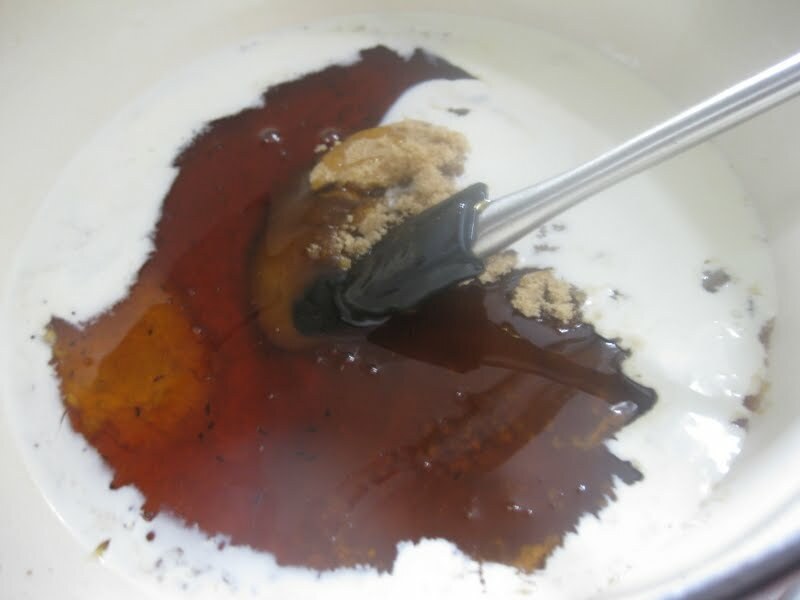 Let bubble along until the mixture is thick. This will take around 15 minutes. I chose a really big pot to both speed up the process and to avoid the potential of overflow. That would be a really dangerous mess. If you want to test for doneness just drop a bit of the mixture into a cup with cold water and if it forms a soft ball then you are good to go! 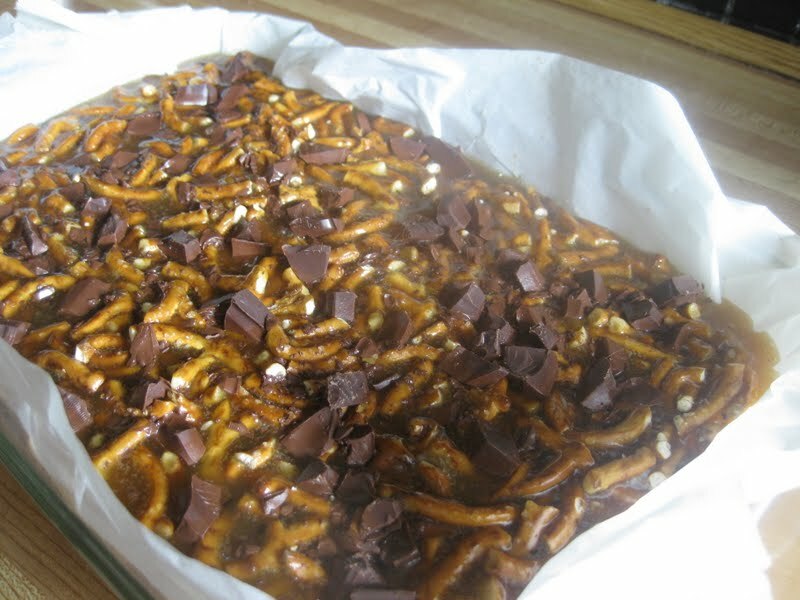 Pour over the pretzels and dot the top with chunks of dark chocolate. I am a salt fanatic so I also like a few flakes of sea salt on the top. If you have your addictions under control then just leave things be. Let chill AT LEAST 2 hours (the longer the better)-you might need to leave the house or you’ll try to eat these while they are molten lava hot. I actually doubled the recipe the other day and it worked-out really well. So imagine how happy I was when perusing a copy of Hugh Fearnley-Whittingstall’s “River Cottage Every Day” book the other night and found the most brilliant recipe. It’s a fake-out of hollandaise that only requires the same amount of time that it takes your eggs to boil. Hugh uses two pots but I have mentioned before my extreme dislike of dishes so I used the one pot for everything. Take two eggs for each person and add to a boiling (salted) pot of water. Set the timer for exactly 4 minutes. At the two minute mark add in a bunch of asparagus wthat has the woody stems trimmed. Get your plate ready. 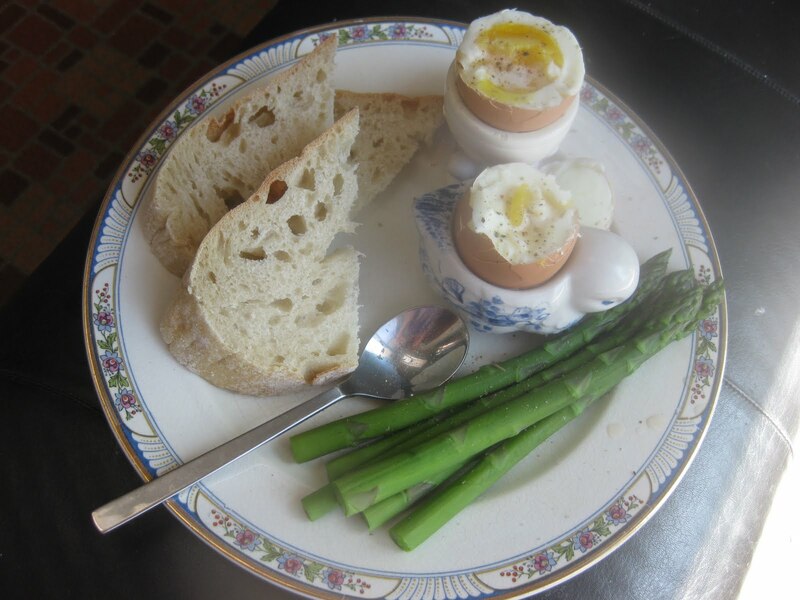 A bit of nice bread, the asparagus and the eggs in pretty cups (ok, pretty cups not technically part of the recipe). While the eggs are still very hot add a dollop of butter and a dribble of cider vinegar. 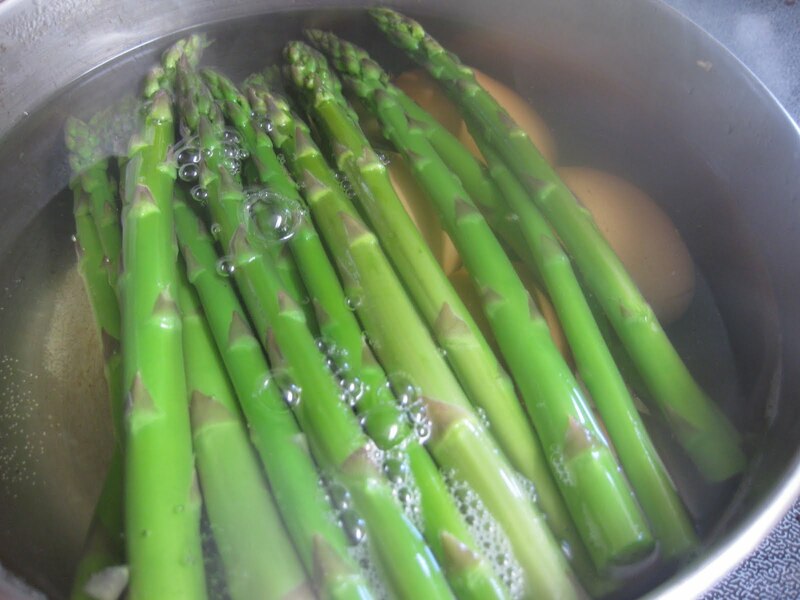 Dip the asparagus in and …..instant hollandaise! Re-dip and the magic is yours again and again and.. So how goes the war on waste this week? Slightly better than last week but by no means all that well. “All that Well” meaning I am not in the postion to debate whether or not coffee is a food like the Mrs. did last week. I vote for “Yes” coffee is both a food and a vital entity that will get you through all of life’s turmoil. 2) a stray apple that had given up the will to live and let itself go mushy. 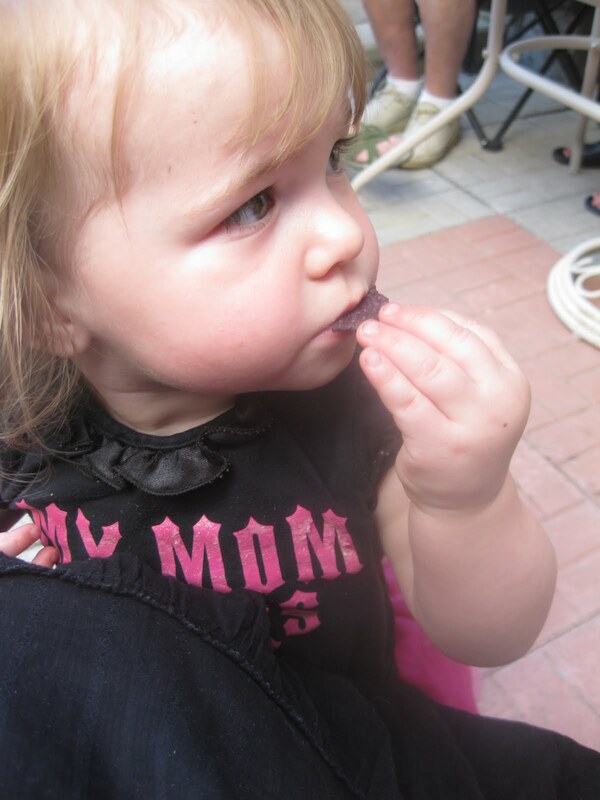 3) 1/2 a jar of olives from the back of the fridge-who knew that olives could even go bad? We went to my sister-in-law’s birthday last weekend (I won’t say her age-girls don’t do that to each other) and I need a quick appetizer for a diverse crowd. There were foodies and non-foodies there so nothing too off-the-wall. It needed to feed a large amount of people so nothing that is going to break my wallet. AND I wanted to get a lot of things done around the house so nothing that is going to take me very long to make. Tada! 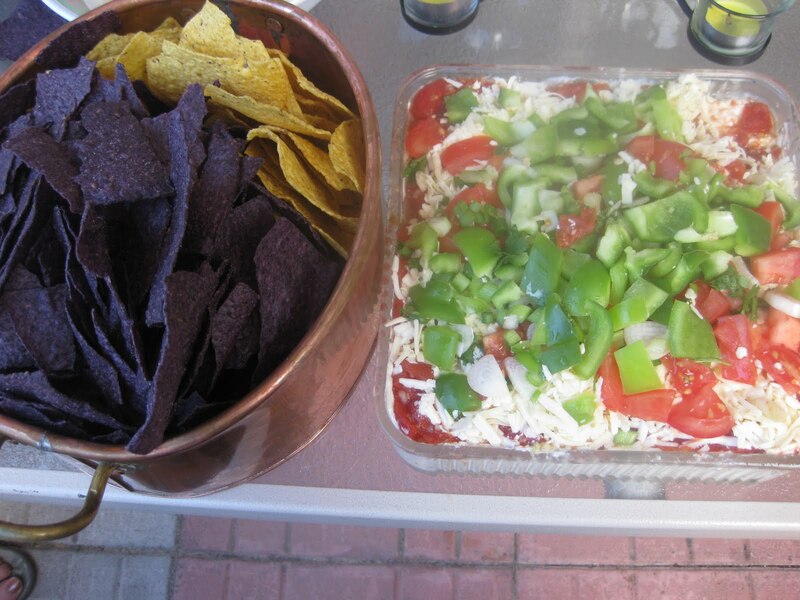 Aunt Marion’s Mexican Layer Dip-I dare you to find anyone that doesn’t like this dip. Once you have one scoop, you are lost. 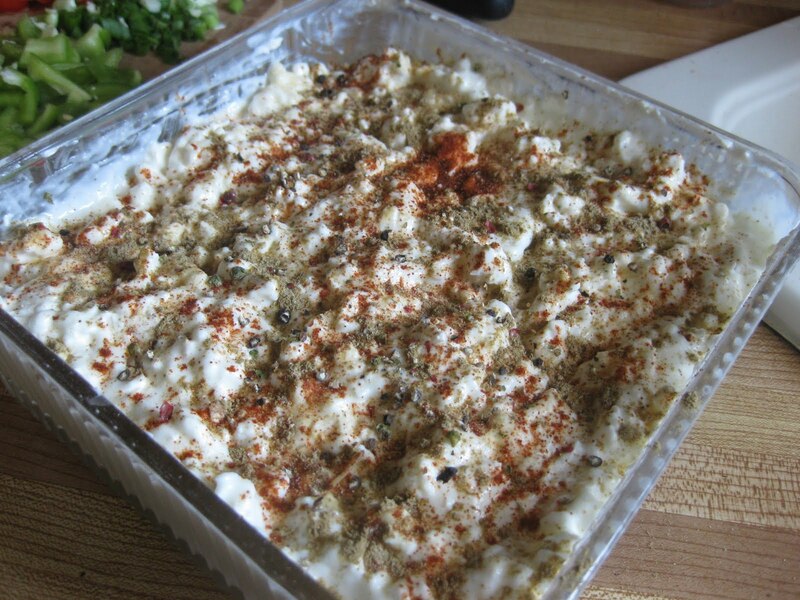 This is the appetizer that people constantly sit around at a party until they scrap it clean. 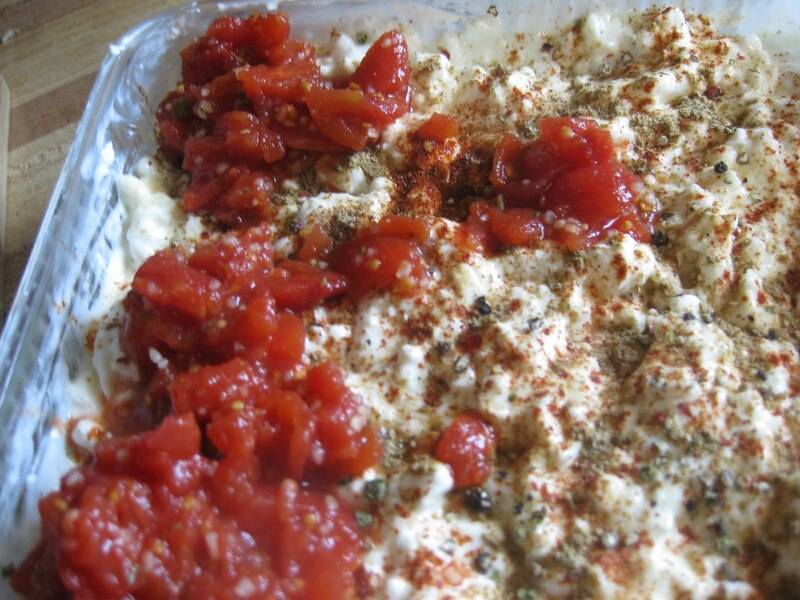 Simply take: 1 carton (500ml) of cottage cheese and 1 brick (250 grams) of cream cheese and mush together in a bowl. 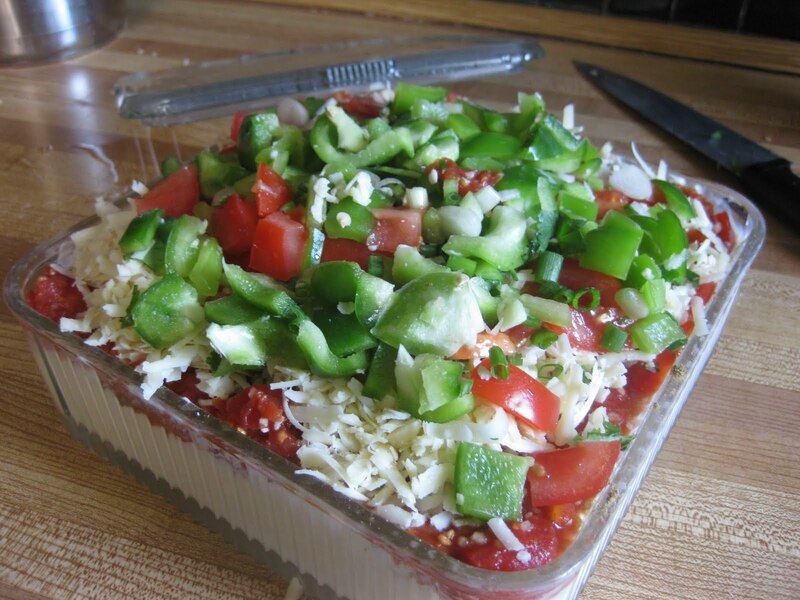 If you are really careful with your squishing you can make the whole thing in one dish and safe yourself a lot of tidy up. 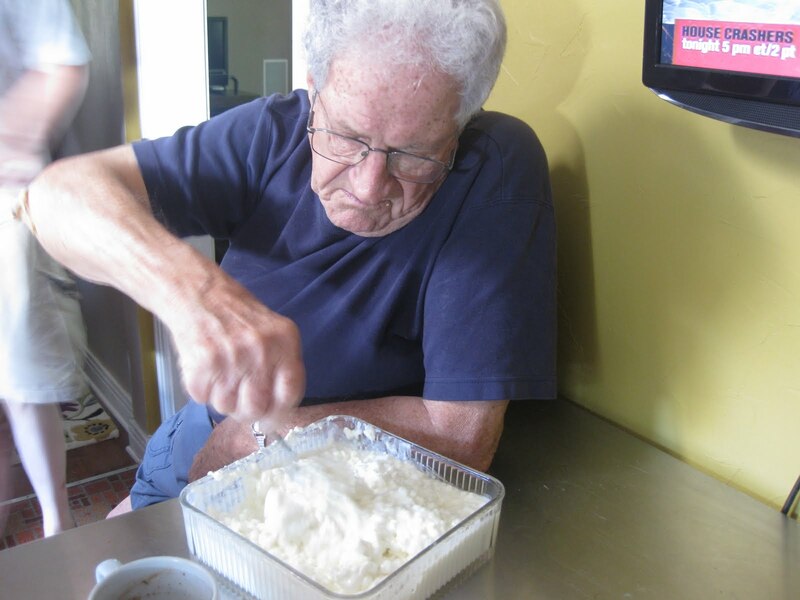 It’s even better if you can get your father-in-law to do the mooshing while you feed the baby breakfast. Top with: 1 tsp. cumin, 1/2 tsp. chilli flakes, dash salt and 1 tsp. chilli powder. Aunt Marion always used 1/2 a package of taco seasoning but I never have it in the house and all that msg sort of freaks me out. If you want to use-go right ahead. I’m not going to be all judgey judge. 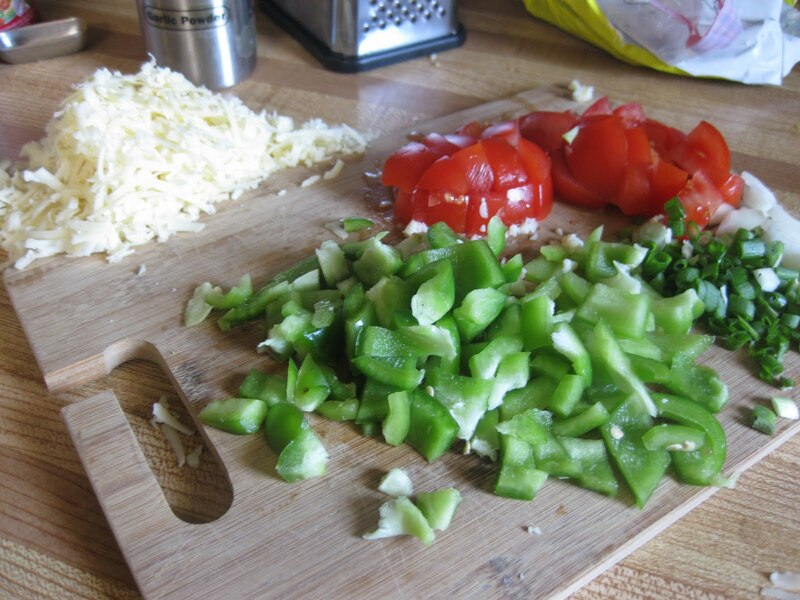 You’re almost to the end…then to finish things off just add shredded cheddar, chopped olives, chopped tomatoes, chopped cilantro…basically anything that you like on a taco. Serve with copious amounts of taco chips and when you set it out move quickly or your fingers might get bitten. 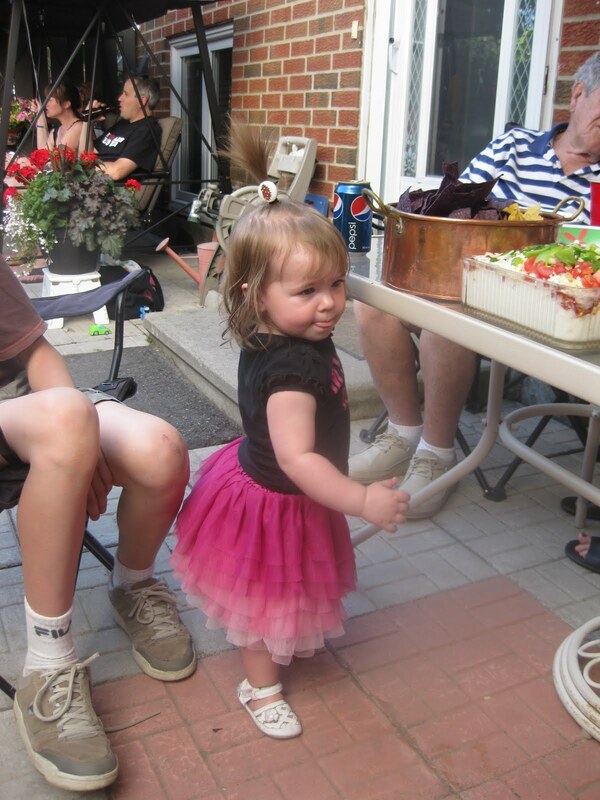 Especially by a one year old whose mother dresses her funny. It was my turn to host bookclub this week and I really wanted to make something fun that also represents the wonderful weather that we are having. We’ve met as a group (a core six of us) for around 10 years now. We’ve weathered; weddings, babies, deaths in each other’s families, new houses, moves…and we even fit in a tiny bit of talk about a book. We always end-up with way too many treats so I wanted something that is light but unique. 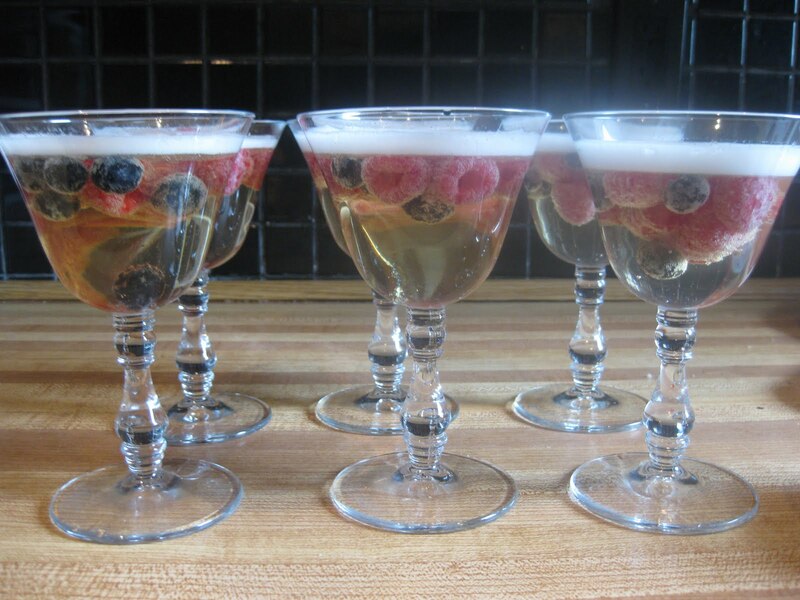 I remember seeing a Jamie Oliver show a few years ago where he was celebrating the christening of his little girl and made berries with prosecco jelly. 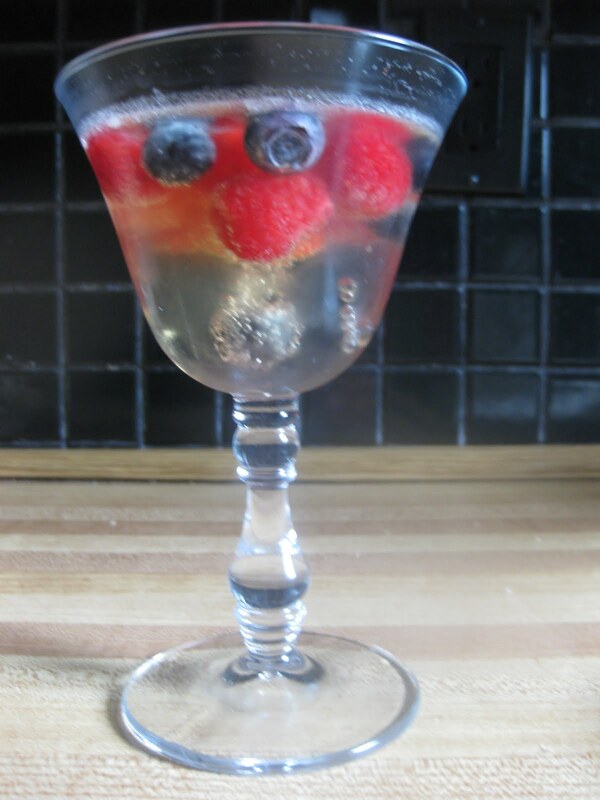 It looked like summer trapped in the glass with the little bubbles and the gorgeous berries. I’ve been wanting to try to make it every since but just haven’t gotten around to it. and…having no intention of going to a specialty shop to get gelatin leaves, I’ve had to play a bit and hopefully get lucky with the powdered gelatin that is readily available here-like in my cupboard already available. I’ve also flavoured them with a bit of Orange Flower water instead of Elderflower simply because I have it in the house. So I crossed my fingers and this is what I came up with. Take two envelops of unflavoured gelatin and add 1/2 cup of boiling water. 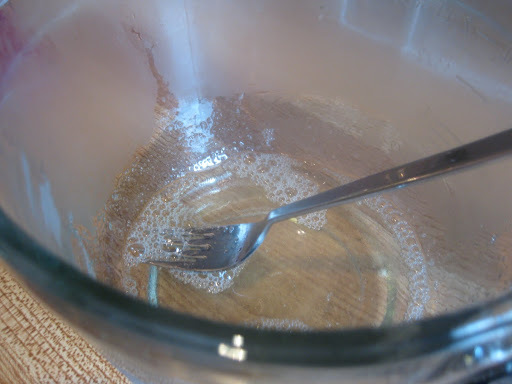 Stir to dissolve (about 2 minutes) and add 1 heaping tablespoon of sugar. Let gell for a few minutes and also cool. Take out a VERY cold bottle of prosecco (sparkling wine but you could use sparkling grape juice or gingerale-just leave out the sugar), consider just drinking it yourself but instead measure out 3 1/2 cups. 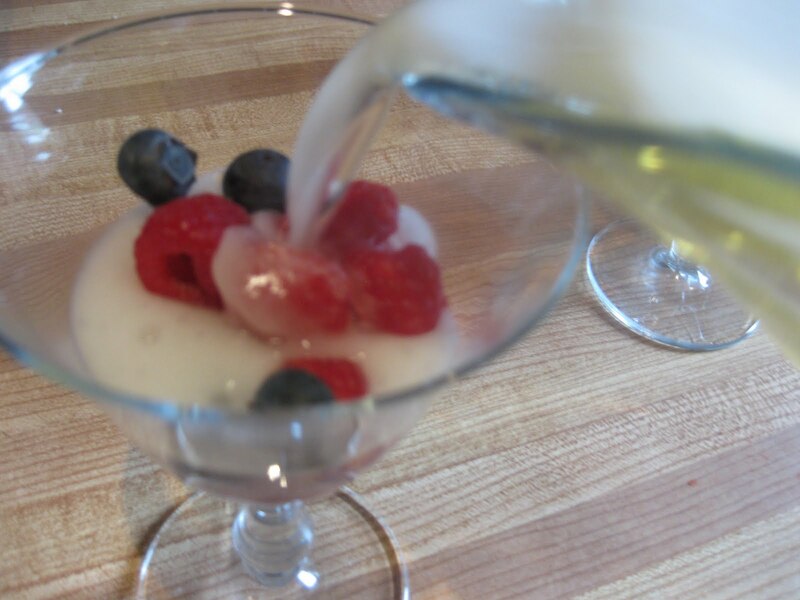 Pour into chilled glasses that have berries in them (raspberries and blueberries are pretty) and get them into the fridge as quickly as possible. Tada! Lovely bubbles trapped in the glass. 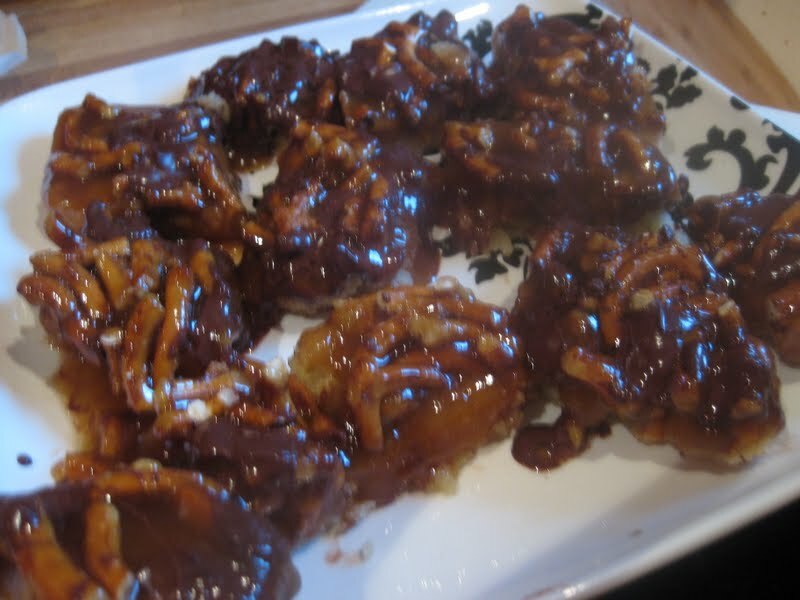 They look pretty and are a terrific light dessert.